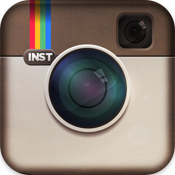 Instagram has unveiled and launched version 2.0 of its popular photo sharing application. The update, which adds new filters, live filter previews, additional border controls, high resolution images, and rotation controls, became available earlier today. The new live filters, arguably the coolest addition, let users see how their filtered photo would look before they snap the image. Users can still swap filters after they take a photo, if they prefer. Instagram claims its filters are 200 times faster than before, meaning users can share altered pictures faster than ever. Similarly, the tilt-shift effect is now applied 100 times faster. Updated border controls allow users to enable or disable borders like never before. Love the “Nashville” filter but hate the border lettering? You can now remove the border while the overall visual effect remains intact. No Instagram 2.0 feature will be more welcome than the app’s newfound support for high resolution photos. iPhone 4 photographs now render at 1936-by-1936 pixels, while Instagram on the 3GS is limited to a 1536-by-1536 resolution. As always, Instagram is available from the App Store free of charge.